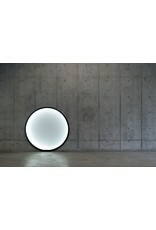 The big circular Lamp of Kazuhiro Yamanaka draws inspiration from his particular relationship with the moon. 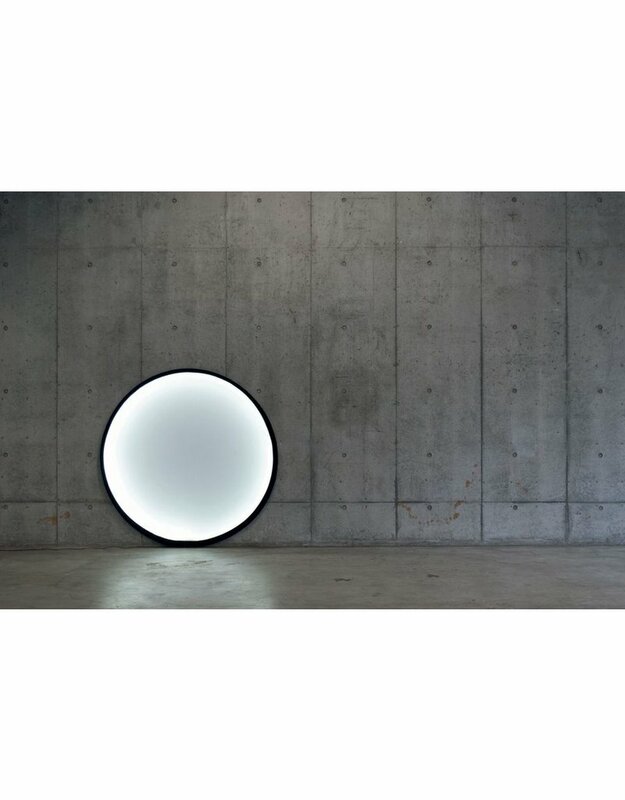 Collapsible Moon can be expanded and collapsed with a simple action, thanks to its photo reflector structure. 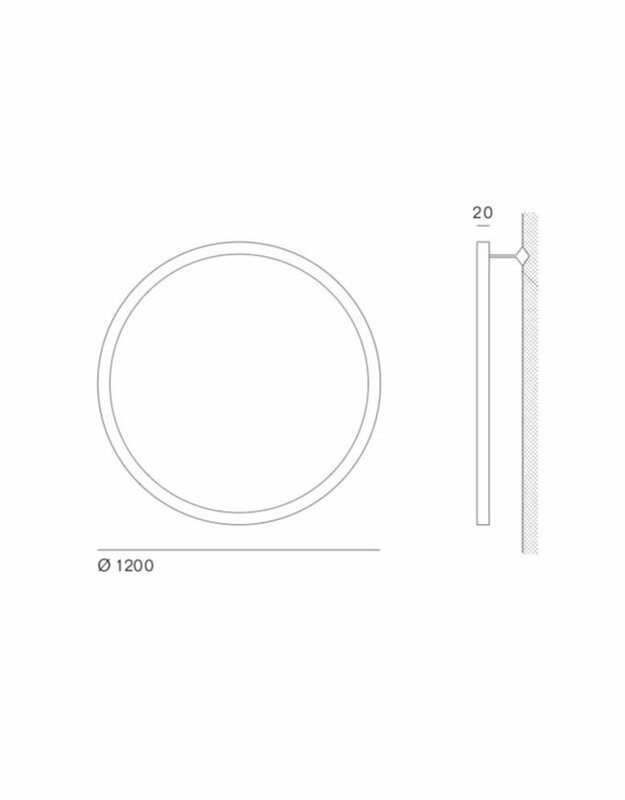 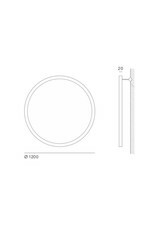 The light emits from a Led strip, which is located inside the edge of the harmonic steel structure and spreads the light towards the center of the circle. 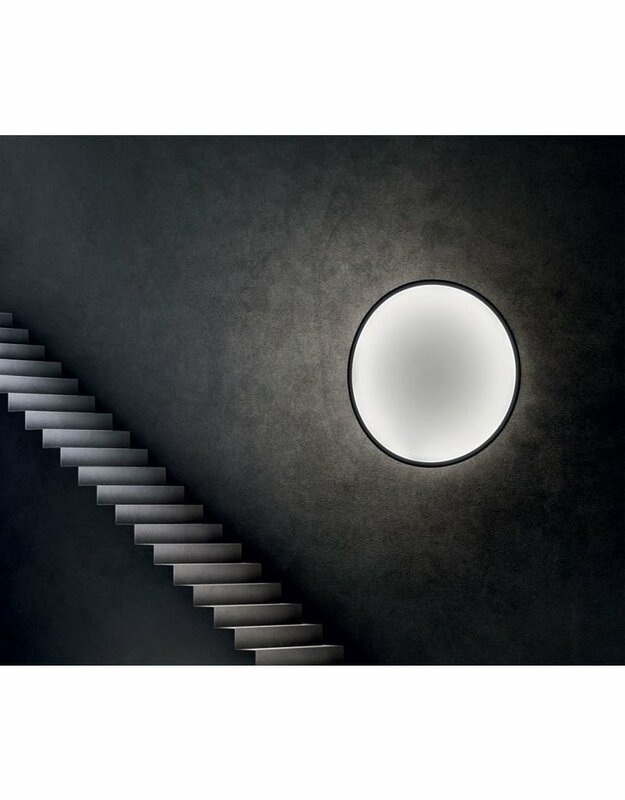 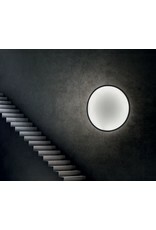 As a result, the big surface of the complete circle illuminates itself like a full moon.